A t-shirt and hat set that I created as a fun personal project. 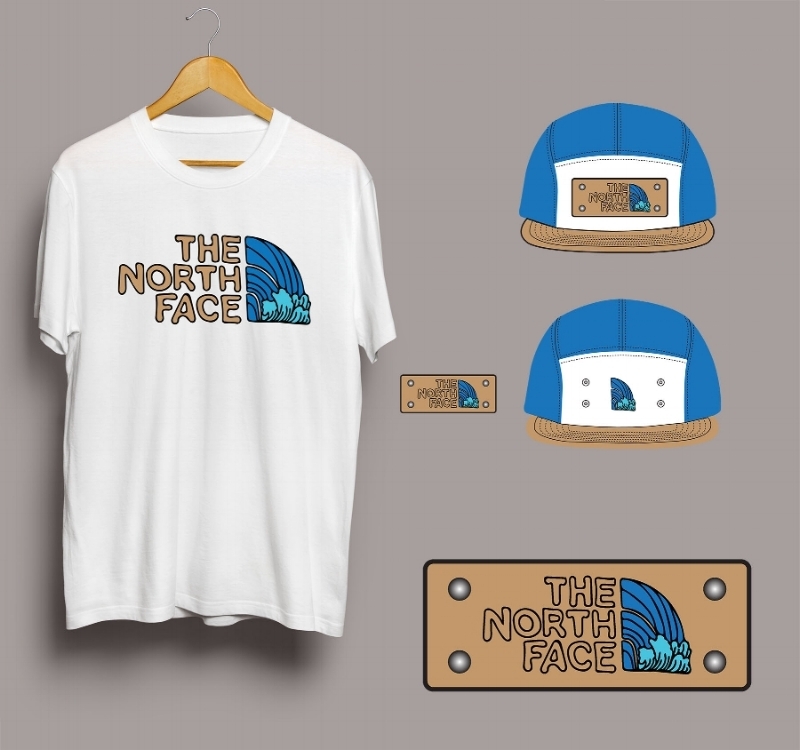 Hand drawn font and waterfall based off of The North Face Logo. Water-based print on 100% recycled cotton t-shirt. 5 panel ripstop ventilated nylon hat with basic waterfall logo printed on base of hat with a patch with full logo and metal snaps.